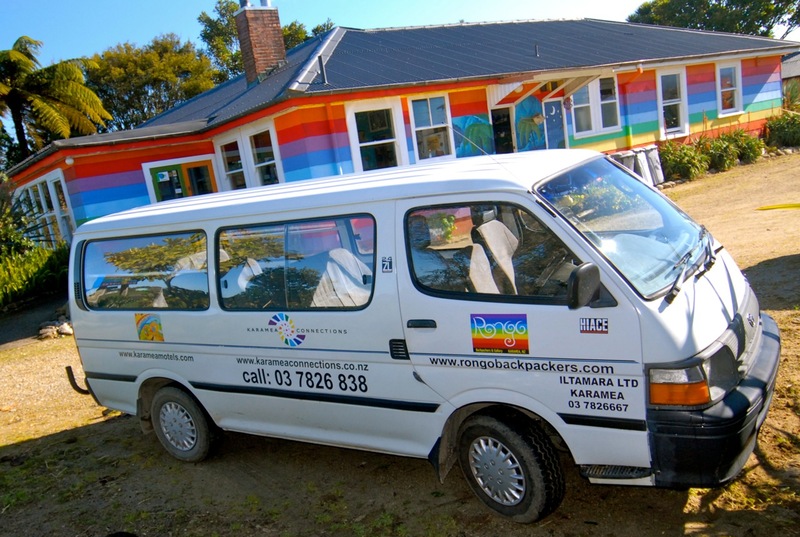 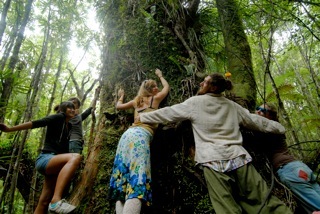 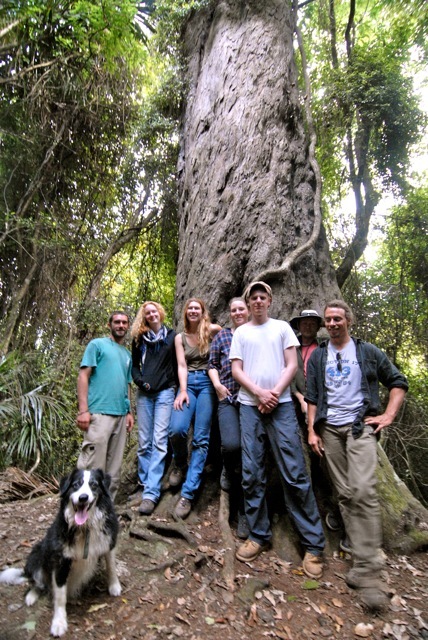 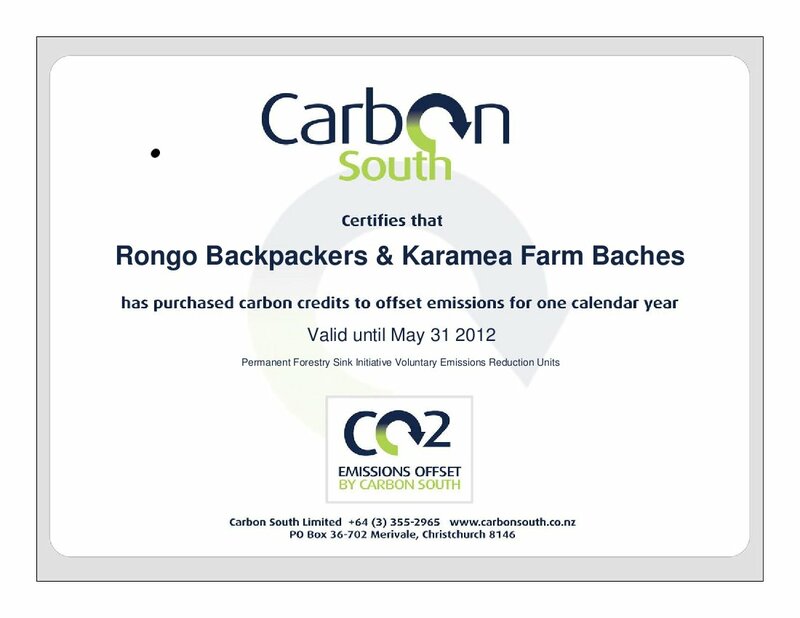 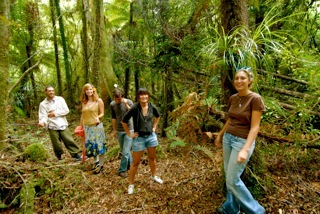 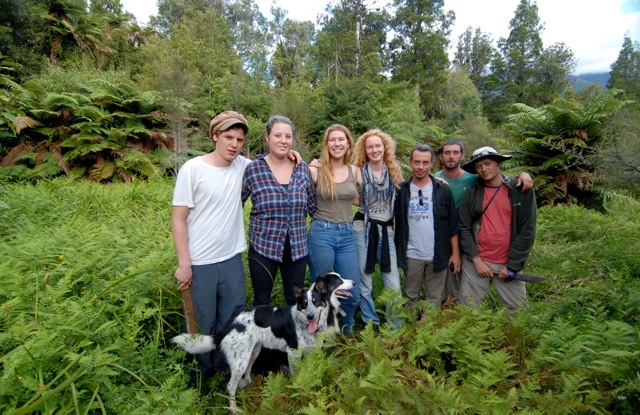 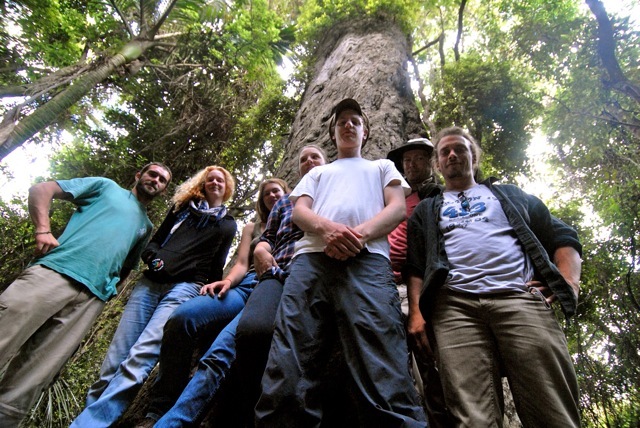 Depart Rongo @ 5:00 p.m.
A visit to the “Big Rimu Tree,” (which is a big rimu tree). 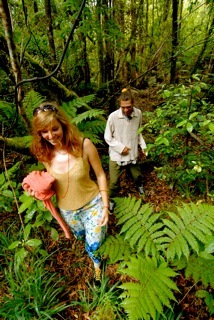 A walk through the jungle to two gigantic ancient rata trees in the LivinginPeace Forest. 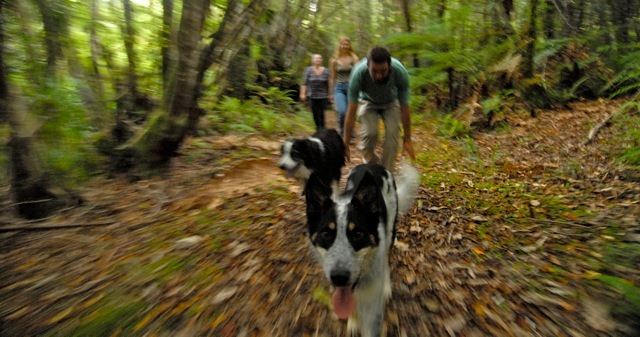 A visit to Virgin Creek at the mouth of Karamea Gorge. 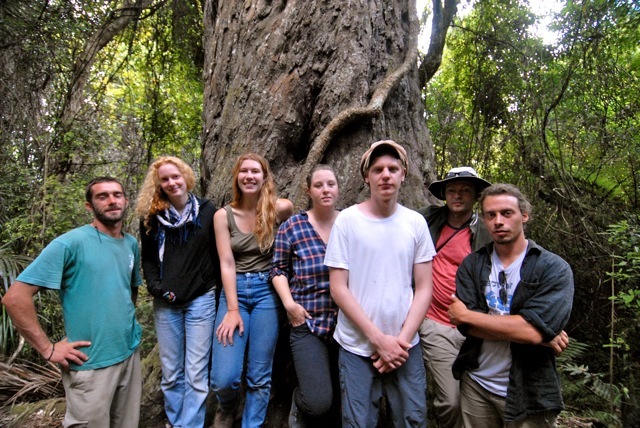 Commentary by guide includes botanical information about trees and plants (in Latin) and historical stories about the Karamea region.